Well, its been 19 days for us participating in the Family Financial Challenge and I have been pleasantly surprised! Week 1 started off with a Cash, Cash, Cash Challenge. We had to sit down and look over our spending habits from the last 3 months, and boy was that an eye opener! I made the decision to cut back on most of my "junk" spending. I realized that I spent a lot of money on junk food, between Tim Horton's, McDonald's, etc...I was literally eating my money away!! 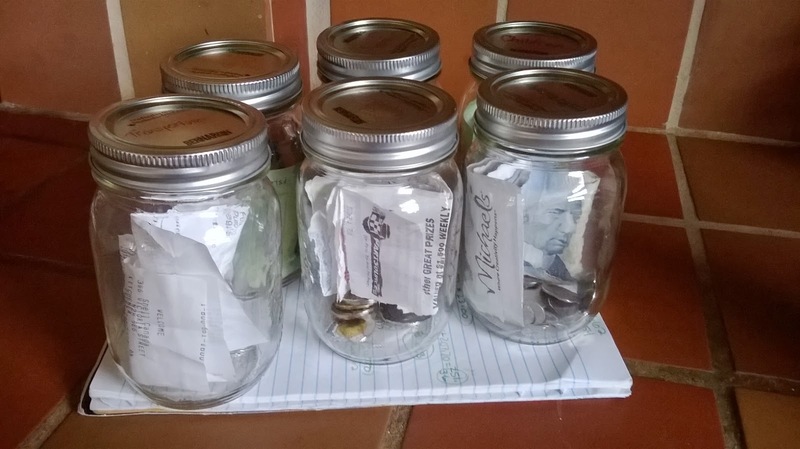 I set up my jars and set to work on reigning in my money and making the decision to work solely in cash for the next month at least, and hopefully continue after this challenge is over. When I sat down at the end of the week, I was so shocked to see how much money I had left!! I also started an account on My Money My Choices and if anyone wants to join in with me, let me know! It is always easier and more fun to start a journey like this with others...accountability is also key when making big changes or decisions in life! I was able to then put in the next weeks money and have a larger amount. I am excited to see what I have left in my jars by the end of the month and will maybe have a special Pizza Party with my family to celebrate, since we haven't been eating out at all. Week 2 was a Food Challenge, and this is one area that I know I do very well in, when I want to. 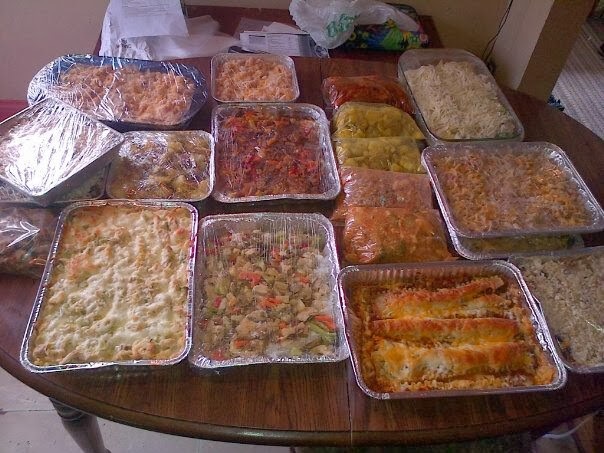 We use our leftovers all the time, and very rarely throw food out. It is nice to know that I have a set amount of money to use each week towards groceries, and I have to plan ahead now, because of using cash only. Each week I figure out how many meals I need and I look through all my cupboards and freezer first. My best friend and I also regularly shop at each others houses too, because two creative minds are better then one. We will also cook meals together, in bulk, and will freeze what we can. This week I made a pork roast in the crockpot, and with the leftovers I turned it into pulled pork. The kids have been taking pulled pork sandwiches to school and seem to love the idea of it! This is the 3'rd week of the challenge and it is focusing on Family Fun Challenge. Our lives have been upturned over the last few years and it has been a struggle to hold down a job and still find quality family time. During the first week of using the jars, I splurged from my jar with the money that I would have used on fast food and I bought some art supplies. Paint, brushes, canvas, mirrors, sparkles etc...and I sat down one night with my 15 year old and we each painted a picture. They both turned out great and are so meaningful in our lives right now. The younger ones painted another day and theirs turned out great to. It is a fun activity that we will continue to enjoy, and it is nice because the supplies last longer then just one sitting. We have also enjoyed some of the snow outside, and Faith, in particular, loves to climb the mountains that are in our front yard. 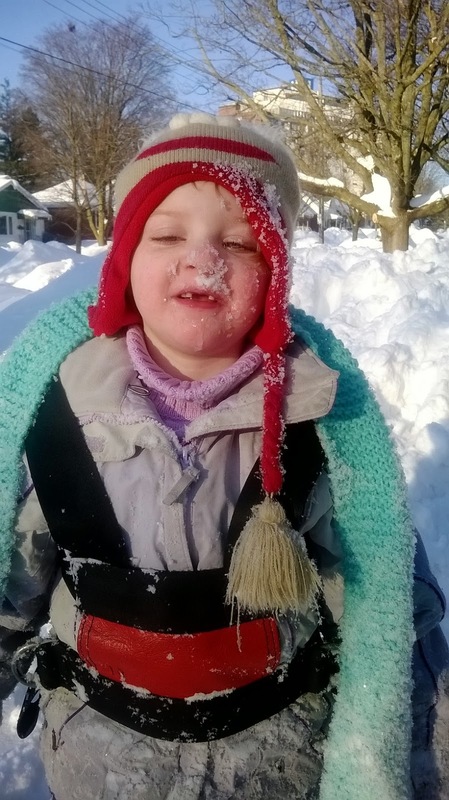 While waiting for the bus today, she did a faceplant and ended up with a face full of snow...I expected her to cry, but she laughed instead. 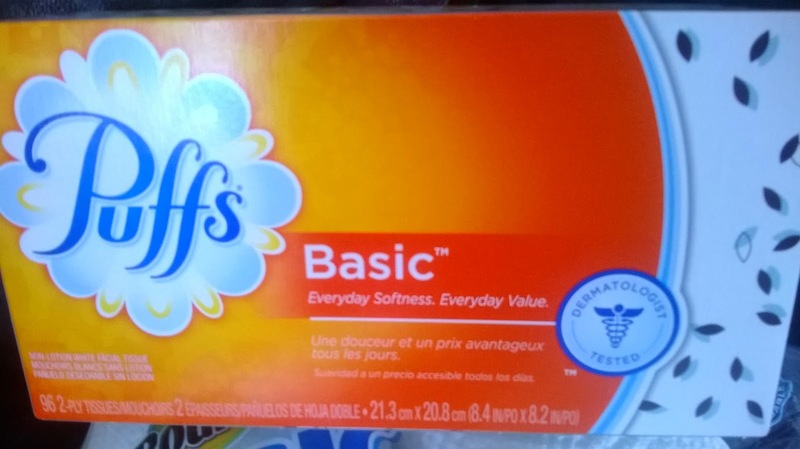 The Puffs Basics Facial Tissue were great for cleaning her up, and not scruffing up her face. My kids have also enjoyed skating at the rink across the street from us. This is a great year for the rink, the volunteers have been amazing at keeping the rink cleaned off and skateable, even during the big snowfalls we have had. We have also enjoyed family fun with nail painting!! In a house with 4 girls, nail polish is a great go to for a fun activity that encourages them to be creative and it keeps them occupied for hours some nights!! We got a bottle of: COVERGIRL Outlast Stay Brilliant Nail Gloss in “Every Reddy”and COVERGIRL Outlast Stay Brilliant Nail Gloss in “Golden Opportunity". 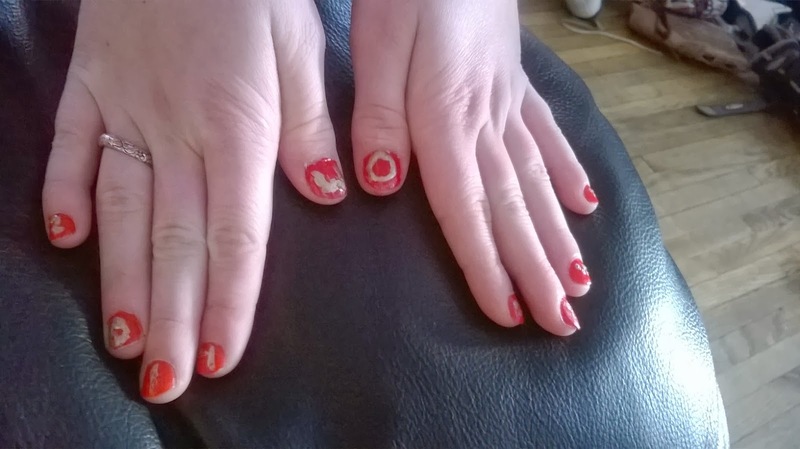 Grace put her creativity to the test and designed an Olympic themed design on her nails. She had a blast and loved how it turned out:) If you can't make it out, there are 5 rings and the numbers 2014! 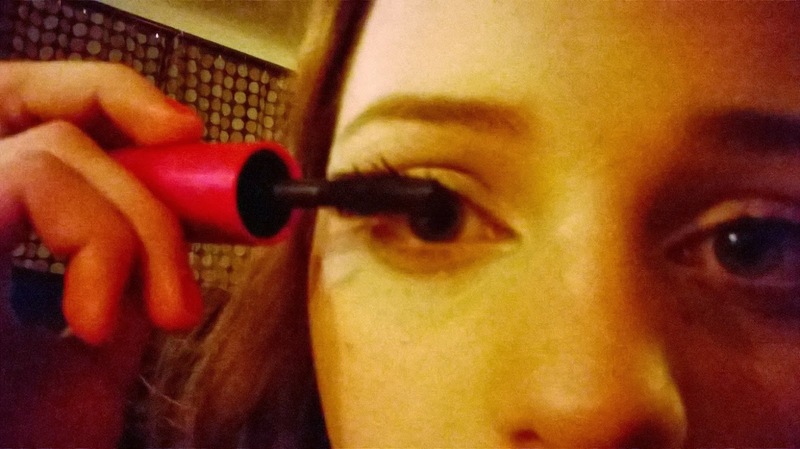 My oldest daughter went off to her semi-formal dance this past month and has enjoyed the long lasting effects of the CCovergirl Bombshell Mascara. This month, we have put our house up for sale. It is not such an easy thing with 5 kids in the house. And it was a quick decision. We cleaned out so much stuff and I conceded that I am somewhat of a hoarder...no one agreed with me that "packrat" is not "hoarding"...so, I'm a hoarder...the first step is acceptance!! 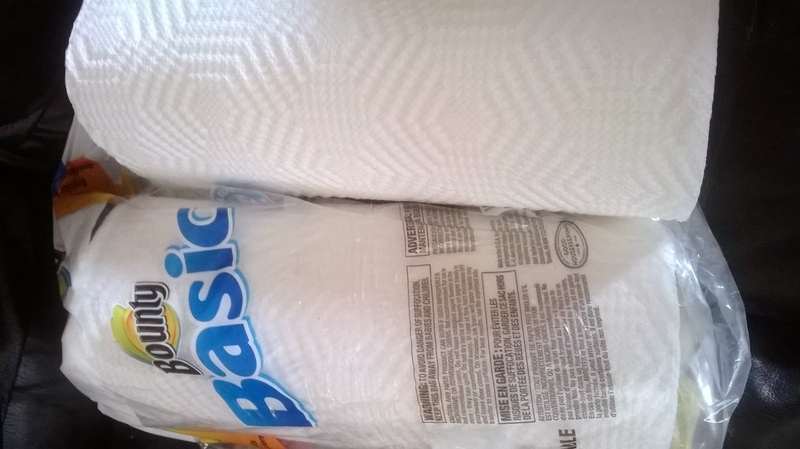 We cleaned like crazy and I was so excited that in my P&G Package this month we received the Bounty Basics paper towels. 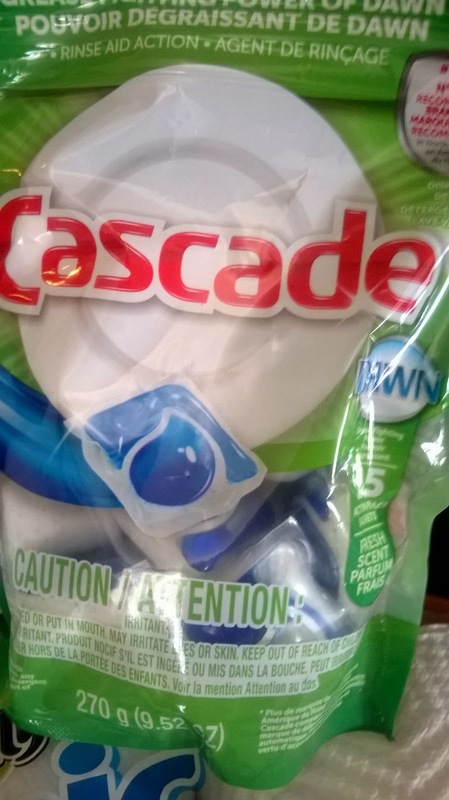 We ended up using them as cleaning rags and washed the windows, the counters, the window sills, the lights, mirrors, sinks etc...I could not believe how durable they were!! I mean, we had to scrub!! This is one product I know I will never scrimp on again. 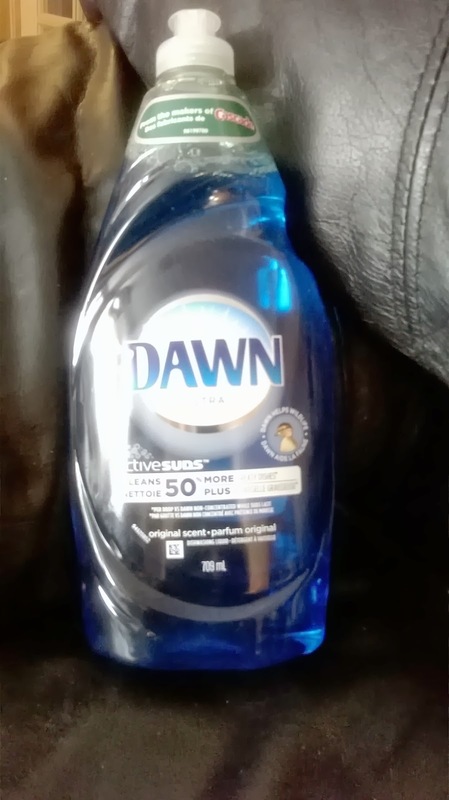 Also, we received the Dawn Ultra dish soap and it has made dishwashing so much easier! We were not very good at keeping our dishes washed all the time, so we had a lot of dishes to wash at once. I'm talking pots, pans and dishes. We washed a lot of dishes and had to use very little soap, which is a nice change. Looking ahead at week number 4, it is all about the Clothing Challenge, and if you know me, you know how much I LOVE Tide Pods!! 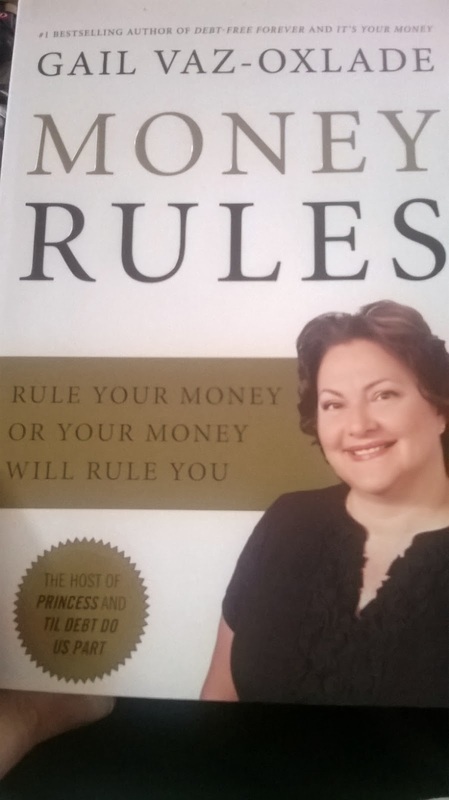 Gail's book, Money Rules, has been a great tool throughout this challenge and so many of the rules will be able to be applied throughout my whole life. Right now, with the sale of our house, I was trying to decide whether or not we should rent or buy again. I was really struggling about this because, all my life I have heard that buying is the better option, because you build equity while living in your residence. But, I remember all the extra work involved in owning, the maintenance, the taxes and all that fun stuff. The first rule in the book was "Renting is not always a waste of money"...how timely was that? I am not a handy person at all and am not in a position to handle the extra stress of surprise costs. So, at this point in time, we are looking at renting a house. I am excited at what we have looked at and what we are applying for. I can totally see my family living in this place. If you want to try out any of these products, you can go to P&G brandSAVER page and print off coupons to get even better deals on these quality products.